A while back, the most wondrous Lilyn G. at Sci-Fi & Scary and I bonded over our mutual love of a truly terrible movie. 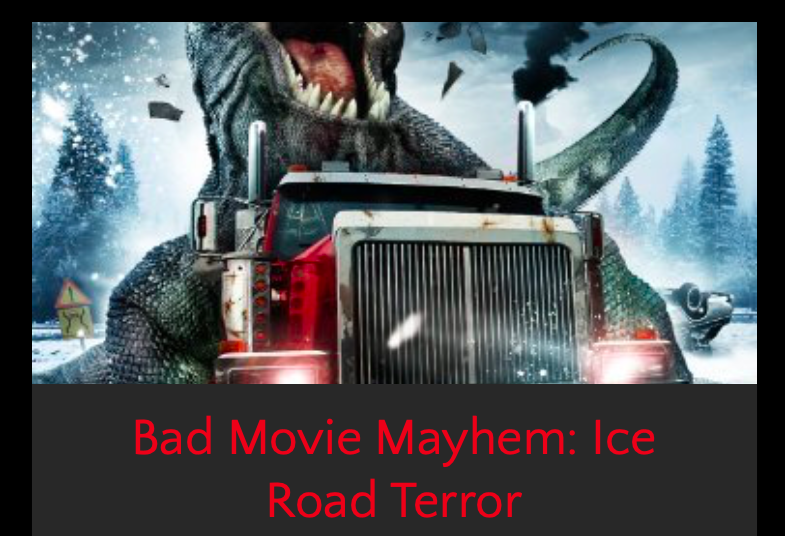 And of that love, Bad Movie Mayhem born: ​a (mostly) monthly celebration of good-bad movies and bad-bad movies in which I get to both recant my tales of woe in viewing said craptastic cinematic productions and regale my right-fine readers with my scintillating wit and snark. 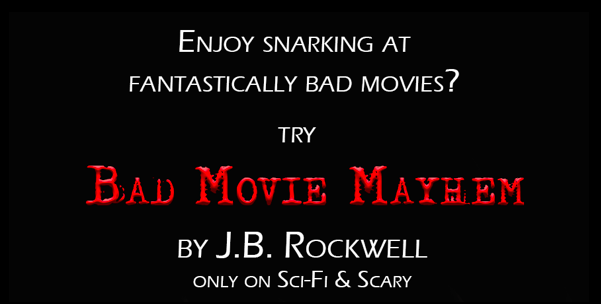 So, What Constitutes a 'Bad Movie'? Great Question! These are those low budget, Grade D stinkers that have the trifecta of badness: bad script, bad acting, and bad special effects. Think most of the movies featured on Mystery Science Theater 3000, and you’re pretty much on track. You might find a long lost character actor from the 70s and 80s in the cast of these movies, like Joe Don Baker or Brian Keith—one of those guys whose face you know but name you have to look up. More often than not, though, the cast of the Cheap & Cheesy is filled with no-name actors willing to take on just about any role in order to pad out their acting resume. Hey, no judgment. Everyone’s gotta start somewhere, even the big names. Raul Julia actuallystarred in one of the movies MST3K lambasted, after all. Now, to clarify, I’m notsaying allcheap movies are cheesy. In fact, there are some pretty darn good spec fic movies out there that were filmed on a shoestring budget, most notably Gareth Edwards’ Monsters. This movie was shot ‘opportunistically’ (they basically drove along the US-Mexico border and stopped wherever at any place that caught their fancy to shoot a few scenes, using locals as extras when needed) with a tiny crew and limited equipment. Any and all visual effects were produced by the director himself, using his home computer and store-bought visual effects programs. And the cost? About $600,000. That’s cheap in cinema terms, but this movie is anythingbut cheesy. It’s gripping, different—definitely a pleasure to watch. I’m using this term generically. There are a lot of C Grade movies that fall into this category that weren’t produced by the SyFychannel, but you say ‘SyFy Original movie’, and most people immediately know what you’re talking about. They’re the big daddy, with a huge category of (possibly, maybe, but probably not) soon-to-be classic movies. Ironically, although the SyFy channel has been producing SyFy Original for several years, most of the world never noticed until that wonder of terribleness Sharknado came out in 2013. A movie that—while not one of my favorites—serves to highlight the basic characteristics of a SyFy Original. In general, these movies are a step up from the Cheap & Cheesy. Sometimes several steps up, with some of their movies teetering on the brink of pretty darn good (think the Battlestar Galacticaspin-off movies, or Farscape: Peacekeeper Wars). 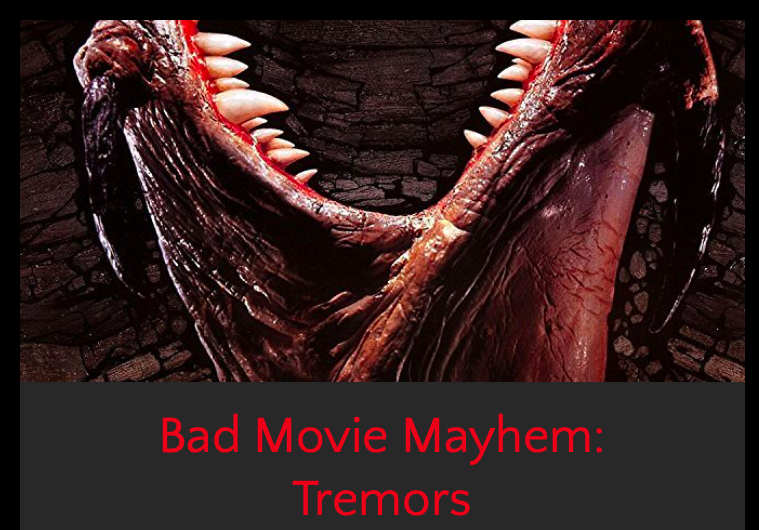 They share the same triple-ugly whammy as their lower grade cousins, but with slightly bigger budgets, slightly better acting, and marginally better special effects. Casting can be…interesting in these movies. A lot of them have names you’ll recognize (Judd Nelson starred in Lost Voyage, for example, and somebody thought it would be a good idea to dress Coolio up as a soldier for Pterodactyl), but the budgets usually only allow for one ‘name’, leaving the rest of the cast to be filled out with…well, whoever. Again, no judgment. You never know what part will springboard your career. I will say this about SyFy Originals: there is nothing better to watch when you’re down and out with the flu, or stuck inside on a particularly craptastic day. You can check out SyFy’s entire catalogue here, if you’re interested (or sick, or whatever). Anyway, the Bellyflops are interesting—and my favorite category of movie—because they aren’t meant to be bad, despite that they carry a distinct odor of cheese. Some play it tongue in cheek, others take themselves way too seriously. In either case, there’s entertainment. At least, for fans of bad movies like me. See Some Examples of My Snark!